Ok, time for us to do the vote thing. The poll will close in exactly 3 weeks, on Monday October 29. Any film that opens in Nov-Dec-Jan-Feb is eligible in our contest. We are measuring US domestic boxoffice take and the contest will end as soon as it is clear that we know the top 5 films of the winter season. It is likely we will know by the middle of March, perhaps sooner. VOTE FOR 5 FILMS, NO MORE, NO LESS. FAILING TO VOTE FOR 5 FILMS WILL BRING GREAT SCORN DOWN UPON YOU. You will note that our end of February cut off date precludes you from taking Captain Marvel, which opens March 8th and is likely to make more than any of these films. Sorry. Nutcracker and the Four Realms (Nov 2) , Creed 2 (Nov 21), Mortal Engines (Dec 14), Welcome to Marwen (Dec 21), Holmes and Watson (Dec 21), and Vice (Dec 25). As always, feel free to post your picks and your rationale. There are a lot of strong contenders here and I bet we have more diversity of picks than usual. There may be no more than a couple films that get more than 75% of the vote. Should be fun! Likely to make more than ALL of the films combined. Well I thought I clicked on Lego movie but it has me down for Dragon 3... must've fat fingered that on my phone. Mine were Fantastic Beasts, Spiderverse, Glass, Lego, and the field. There are a lot of strong contenders here and I bet we have more diversity of picks than usual. There may be no more than a couple films that get more than 75% of the vote. Should be fun! So far, only 1 film above 75% and every film in the list except 1 has gotten a vote. The field has 3 votes! Yup, lots of varied opinions this time. I think that if you get 4 out of 5 you will be doing really, really well this season. Bohemian Rhapsody - The only adult movie in the list, but that really doesn't mean what it used to. Ralph, Waterman, Lego 2, Spiderverse - pure hunches. I have no idea what drives kids and their parents these days and I find it more and more difficult to tell them apart. That's right. It's my lawn....step away. I kid you not... this trailer has me seriously rethinking my votes. I had almost discarded Glass as a contender, but this looks simply amazing. 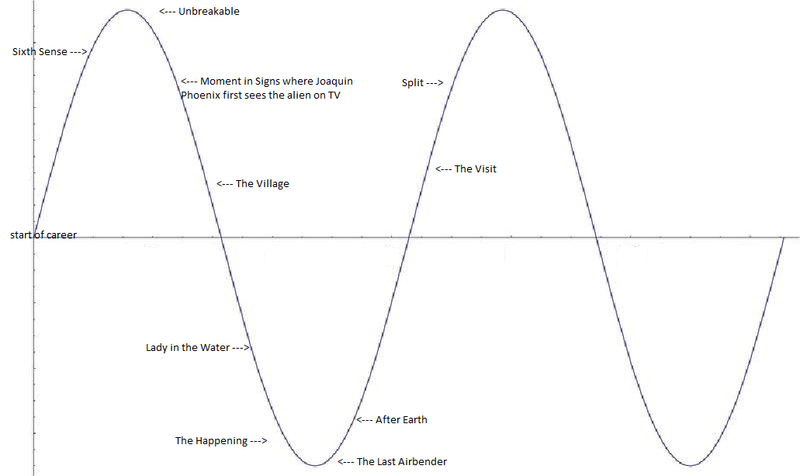 M. Night Shyamalan is such a dangerous pick. I can see it now. All the dreck was just setting up the ultimate twist: another good movie from M. Night. Yeah, I am really torn. I mean, Lady in the Water, The Happening, The Last Airbender, and After Earth are terrible films. But, The Visit was a decent horror flick and I really liked Split. We know he is capable of making very good movies (Sixth Sense and Unbreakable are very good and I really enjoyed Signs too, despite the stupid ending). If so, we may be about to see his crowning achievement. … If so, we may be about to see his crowning achievement. I was just sent an email by a publicist asking me if I would watch a new film coming out this winter. Here is the film synopsis. In the pulse pounding new action flick, Speed Kills, John Travolta stars as a speedboat racing champion and multimillionaire whose secret life as a drug trafficker lands him in a deadly crossfire between the DEA and the Mob. I can't decide if I want to see it just for the hilarity of how bad it probably is. This graphic makes me legitimately angry that Shyamalan makes as much money as he does to do what he does. The only one of his films I've ever seen in the theater was 'The Village,' which was piping hot garbage. The only time in my life that I've gone from one movie straight into another, out of sheer indignation. If that's the middle of the road in his canon (actually slightly above average according to the chart), then the man is in the wrong profession. 10 days left to vote... I'm thrilled that every since film in the poll has gotten at least 1 vote. There appear to be 2 strong consensus picks (80% of voters thus far) and one more that seems to be a strong favorite (60%) but the rest is a series of nearly random guesses. I love it! While I suspect no one will go 5-for-5, this may be the year where even getting 4 of them is a big deal! The Village wasn't bad...it just had too many expectations on it as the follow up to Unbreakable and Signs. M. Knight was the new hotness and much was hoped for in his third feature. Based on past performance, I'm more likely to win the MegaMillions billion than win this thing, but what the hey! Jason, being a huge JJ Abrams fan, any chance Overlord plays into a "field" vote? Seen it? I have not seen it... but the chance it is a player in our Top 5 is zero. It does not have the marketing budget or the profile of a film that would have a chance to reach a wide enough audience. I would guestimate that it will make about $40-50 mil over its entire run, if even that. It is getting good early reviews so maybe it can break out a bit, but by "break out" we are talking maybe... maybe... making $100 mil. That would be a huge surprise though. Also, JJ is not a writer or director on it, he is a producer. It was his idea and his production company made it, but it is not like he was intimately involved in making this flick. He's a little busy on Star Wars 9 at the moment. In May 2018, Woody Harrelson confirmed Zombieland 2 would probably happen. It is scheduled to be released on October 11, 2019, which would be the 10th anniversary of the original film's release, with the original cast returning. Rhett Reese and Paul Wernick have confirmed new details and the film will be titled as Zombieland Too. Production is set to start in January 2019. Bummer about that release date, it would be fun to see it be an option in a future poll.